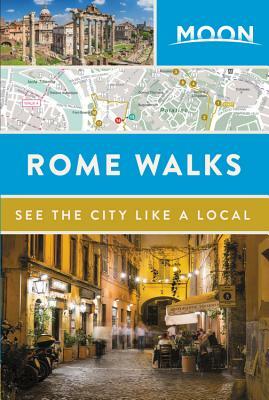 Experience Rome like a local: on foot! With creative routes, public transit options, and a full-city map, you can explore Rome at your own pace, without missing a beat. Moon City Walks is an innovative series of pocket-sized guides to the world's trendiest cities, designed to help travelers explore on foot, discover hip neighborhoods, and experience the city like a local. These full-color guidebooks feature foldout maps, turn-by-turn directions, and lively pages jam-packed with photos. Moon Travel Guides are published by Avalon Travel, an imprint of Perseus Books, a Hachette Book Group company, in Berkeley, California. For more information, check out the full series at www.moon.com/city-walks/.